Submitted by Irakli on Fri, 04/17/2015 - 22:57. President of Georgia Giorgi Margvelashvili awarded Director of Academic Library of the University of Latvia Venta Kocere with the Order of Honor for the contribution made to deepening friendly relations between Georgia and Latvia and promotion of Georgian culture. According to Giorgi Margvelashvili, Georgia greatly appreciates the activities that the Academic library of the University of Latvia and its director implement in terms of deepening cultural relations between the countries. The Head of State visited the Georgian information center in the academic library of Latvian university which was opened last year. The President of Georgia handed over Georgian literature publications to the educational center. Submitted by Irakli on Sat, 04/04/2015 - 16:05. We are pleased to inform you that our library currently has trial access to Palgrave Connect's Collections – browse all available titles. If you have any further questions regarding our access to Palgrave Connect, feel free to contact us via our contact form. Submitted by Irakli on Thu, 04/02/2015 - 17:32. Nature Publishing Group (NPG) is a high impact publisher in print and online, which has representatives in the world’s leading cities (New York, Washington D.C., Paris, Hong Kong, New Delhi, Tokyo, etc.) and unites millions of consumers. NPG publishes journals, online databases, and services across thefields of physical, chemical and applied sciences and clinical medicine. Starting from March 15 National Science Library offers (within the free trial program) scientific, research and magazine columnist to its users. Submitted by Irakli on Fri, 06/27/2014 - 19:49. Georgia, EU Sign Association Agreement - Agreements were also signed with Moldova and Ukraine in Brussels on June 27. 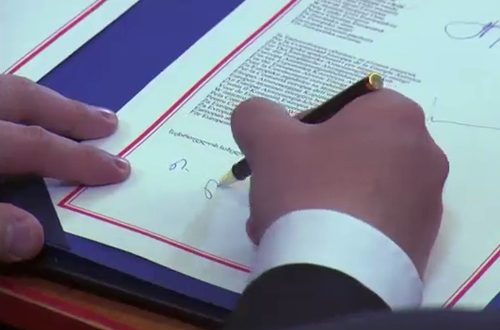 Georgia and the European Union signed Association Agreement, including deep and comprehensive free trade area (DCFTA), on June 27 in the margins of the European Council meeting in Brussels. The agreement was signed by Georgian Prime Minister Irakli Garibashvili, President of the European Council Herman van Rompuy, President of the European Commission José Manuel Barroso and heads of the states and governments of the EU-member states present at the ceremony. Submitted by Irakli on Wed, 02/26/2014 - 06:23. In his first official visit to Washington as prime minister, Irakli Garibashvili will visit the Atlantic Council to discuss the new government's priorities, how recent developments in the Caucasus, Ukraine, and elsewhere in the region look from Tbilisi, Georgia's Western ambitions, and relations with the United States as well as Russia.